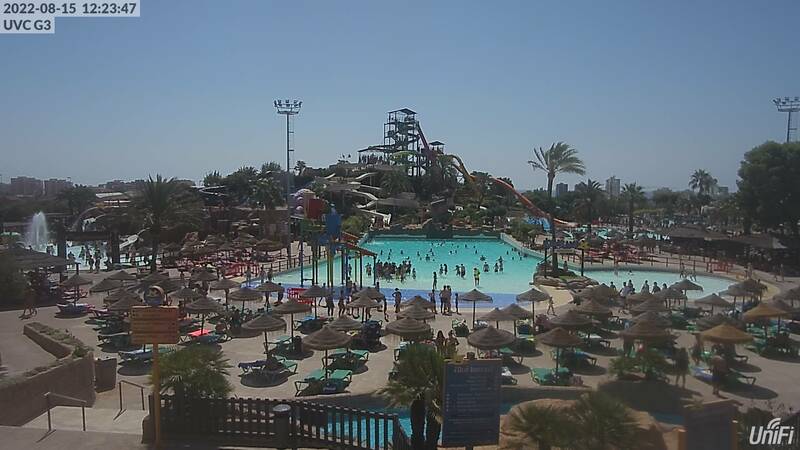 The summer is synonymous with Aquarama Benicàssim. But so is its music festivals. From blues and Jamaican rhythms, to the punk-rock, house and independent music. Outdoor, inside a music tent or in the Benicàssim concert area, which right in front of our water park. Our summer sounds like this. A benchmark of independent, rock, electronica and hip hop music at the European level. The next edition will break unprecedented records with The Chemical Brothers and Muse offering an exclusive show. There will be more, as the electronics of the best band such as Major Lazer and Kendrick Lamar will also be on show, one of the figures who is taking the world by storm in the hip hop scene. A Line upfull of the biggest names that also appear on the national scene such as La Habitación Roja, Dorian and Zahara, among others. In August Benicàssim is carried away by the red, yellow and green with reggae music festival Rototom Sunsplash. If anything characterizes this festival it is that It is not like any other, able to combine a cultural program with each of the musical ideas that play on its stages, ranging from traditional reggae to new sounds, through ska, dub and dancehall. A festival where all audiences can enjoy it. This year Rototom will be have a Line up of Damian Marley, son of Bob Marley, who will perform something special for us here in Benicàssim; besides Italian Alborosie, Manu Chao, a bewitching Jah9 and national reggae bands like Green Valley, among many others. The lovers of house and techno music who are looking for a festival cannot miss the Electrònic Benicàssim Festival. From international stars like Paul Ritch to Cora Novoa. The BEF, in its first year has gone all out to enjoy 12 Consecutive hours of quality music. Perfect for everyone who like to themselves drift away to the sound of blues and jazz. A Line up quality international artists together with great future artists, plus masterclass session. A festival that will turn Benicàssim blue with their rythem. The scoundrel face, punk-rock and alternative rock music represented, for the fourth year, the BIF in Benicàssim. Bright sunshine overhead. The mountains on the horizon and the sea behind me. The lifeguard blows his whistle. Silences the smiles and voices of youngsters who are busy having fun at the water park but just for a moment. Feel a sweet tingle down your spine as you slide down the dune surfing big slide. I close my eyes: Final dip. And back again. When you get tired, have a waffle and lay back in a hammock. There is no better plan to spend a lovely summer day? On Saturday June 11 Aquarama opens its doors to generate all these experiences once again to celebrate our thirtieth birthday. They have been nonetheless than “30 Years of Adventure” since we opened on June 4, 1986. Here at Aquarama we want to celebrate our anniversary with you during all of the summer with several promotions and surprises to make sure your visit to Benicàssim’s water park is even more special. The first thing you will notice, even before the opening, is that we have renovated and expanded our communication channels so you can find out everything faster and easier. Starting with this website, our new blog which you are reading, our profiles on social networks but, above all, the biggest novelty for this year: the new App Aquarama. With it you can buy tickets in a jiffy and enjoy many advantages when you join our Club. In a few days you will be able to download it for free at Google Play and App Store. Years pass, there are more leisure activities around us but Aquarama still remains one of the main summer plans in Benicàssim. An island of fun where time stops, it attracts new visitors every year whether they be families to young British who enjoy FIB one week every summer. From now on, from this blog, we will offer recommendations so you can make the most out of this water park as well as your stay in Benicàssim, and will advance news and special promotions that Aquarama offers for its 30th anniversary. Keep watching this space because as ou know: in Benicàssim, in Aquarama, The Adventure calls you!